Google didn't leave us waiting long for the Android 3.1 SDK; hot on the heels of this morning's unveiling, the software development kit for the latest version of Honeycomb has landed. With it comes a boatload of new APIs (no wonder the API level is now 12) - most notably resizable widgets, improved animation frameworks, and, last but certainly not least, a host of options for interacting with USB devices. In fact, the last item is perhaps the most important, as it will allow users to connect a wide variety of USB accessories to their tablet and interface with them easily. Google demoed the feature using a XOOM and an XBOX 360 controller, but it appears that developers will be able to dream up just about anything, from exercise bicycles to external cameras. Alongside the new SDK itself is revision 11 of the SDK Tools, which promises "miscellaneous emulator changes" - hopefully that includes better (or at least passable) performance. 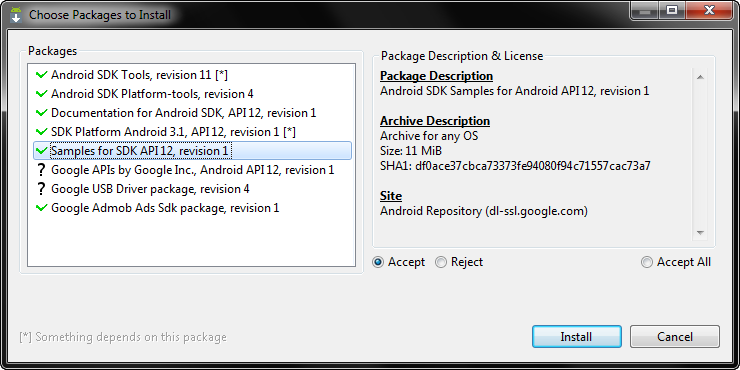 The new SDK and SDK Tools can be downloaded now from the Android SDK Manager - devs, you know what to do!